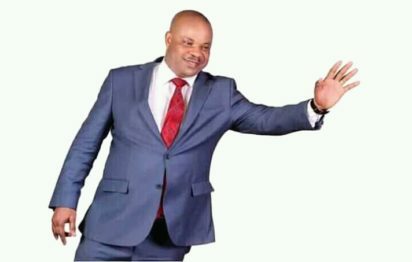 PDP UYO CANDIDATE RISKS DISQUALIFICATION OVER ALLEGATIONS OF FRAUD | Welcome to Dare Lasisi's blog! *Ex-convict risks disqualification on account of conviction and fraud. The member representing Uyo Federal Constituency in the House of Representatives, Hon Michael O. Enyong, (aka Baba Ntan) risks being disqualified from seeking re-election for failure to disclose his past criminal records and convictions in his affidavit filed in support of his personal particulars of persons seeking election to the office/membership of the House of Representatives. Certified true copies of the case information from Fort Bend County, Texas, USA, shows Michael O. Enyong had pleaded guilty to a case of theft and accordingly sentenced. He failed to disclose this in INEC form sworn on oath. It is averred that Hon Michael Enyong had knowingly concealed the fact of his conviction from his constituents to circumvent the law which conviction occurred less than 10 years to the time he sought for and got elected into the Federal House of Representatives. In Suit No: CV/1017/19 filed at the High Court of the Federal Capital Territory, Abuja, his challenger Hon. Ekerete Ekpenyong is seeking the disqualification of Hon Enyong on the grounds of being an ex-convict and that he lied on oath having been sentenced in a criminal case of theft which he had been charged and pleaded guilty by a court in Ford Bend County, Texas, USA. The Claimant is seeking a declaration that Hon Michael Enyong is not qualified to contest the 2019 election into the House of Representatives seat having circumvented the law by lying on oath and failing to disclose his past criminal records and convictions. Hon Ekerete Ekpenyong is also seeking a declaration of the Court declaring vacant the Federal House of Representatives representing Uyo/Uruan/Nsit Atai/Ibesikpo Asutan Federal Constituency currently being occupied by Hon Michael Enyong and also an order directing the Independent National Electoral Commission to withdraw the certificate of return issued to Hon Michael Enyong in 2015, and withdraw his candidature for the 2019 elections. The claimant is also seeking an order of the court directing that Hon Michael Enyong immediately after delivery of judgment in the suit repay back to the coffers of the Federal Government of Nigeria all salaries and allowances he has received as a Member of the House of Representatives between 2015 – 2019. Hon Michael Enyong also committed perjury by lying on oath about his age and academic qualifications. For instance, according to information he provided on his Form CF001 he gave his date of birth as 31 August 1969 in his affidavit sworn to at the High Court Registry, Abuja dated 15thAugust 2018, when indeed, he was born on December 25, 1961. 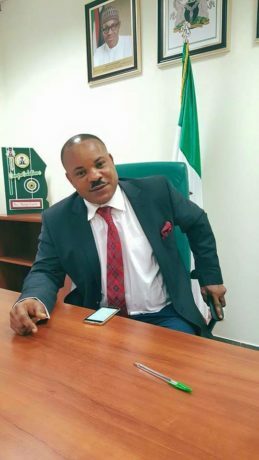 The lawmaker also claimed that he has a Ph.D. in Environmental Engineering from Warren National University without any record of having done a Masters Degree anywhere having acquired a Bachelor of Science degree, Second Class Hons Lower Division in Applied Chemistry from the University of Uyo in 1999. According to legal analysts, the case against Hon Michel Enyong is watertight and PDP in Uyo Federal Constituency may be without a candidate in the forthcoming National Assembly elections if the Court upholds the arguments of the Claimant to disqualify Hon Enyong on the grounds of being an ex-convict and that he lied on oath having been sentenced in a criminal case of theft which he had been charged and pleaded guilty by a court in Ford Bend County, Texas, USA. Additionally, the contradictions in his birth certificates and sworn affidavits and his questionable educational qualifications may further lead to his disqualification.